Fauna of Europe is all the animals living in Europe and its surrounding seas and islands. Since there is no natural biogeographic boundary in the east and south between Europe and Asia, the term “fauna of Europe” is somewhat elusive. 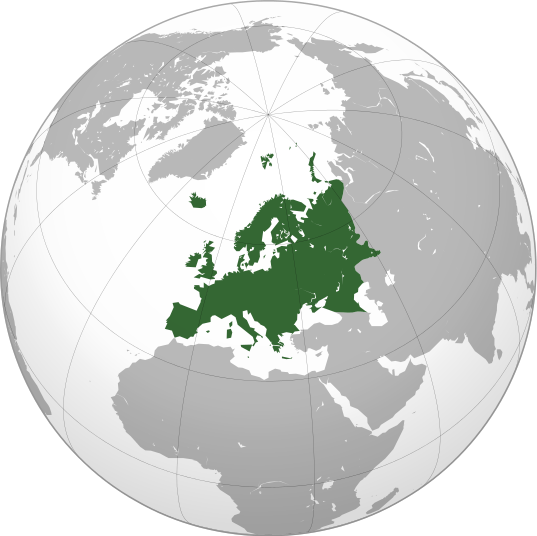 Europe is the western part of the Palearctic ecozone (which in turn is part of the Holarctic). Lying within the temperate region, (north of the equator) the wildlife is not as rich as in warmer regions, but nevertheless diverse due to the variety of habitats and the faunal richness of the Eurasia as a whole. Before the arrival of humans European fauna was more diverse and widespread than today. The European megafauna of today is much reduced from its former splendour. The Holocene extinction drastically reduced numbers and distribution of megafauna. Many of these species still exist in smaller number, while others thrive in developed continent free from natural predators. Many other species went extinct all together.